Do Hedge Funds and Insiders Love National Health Investors Inc (NHI)? National Health Investors Inc (NYSE:NHI) was in 6 hedge funds’ portfolio at the end of the fourth quarter of 2012. NHI shareholders have witnessed a decrease in activity from the world’s largest hedge funds in recent months. There were 7 hedge funds in our database with NHI positions at the end of the previous quarter. In today’s marketplace, there are a multitude of gauges shareholders can use to monitor Mr. Market. A duo of the most underrated are hedge fund and insider trading sentiment. At Insider Monkey, our studies have shown that, historically, those who follow the top picks of the elite investment managers can outpace the broader indices by a solid margin (see just how much). Equally as key, optimistic insider trading activity is another way to break down the stock market universe. There are lots of reasons for an insider to sell shares of his or her company, but only one, very obvious reason why they would initiate a purchase. Many academic studies have demonstrated the valuable potential of this tactic if you know what to do (learn more here). Keeping this in mind, we’re going to take a look at the key action regarding National Health Investors Inc (NYSE:NHI). How are hedge funds trading National Health Investors Inc (NYSE:NHI)? In preparation for this year, a total of 6 of the hedge funds we track held long positions in this stock, a change of -14% from the third quarter. With hedgies’ positions undergoing their usual ebb and flow, there exists a select group of noteworthy hedge fund managers who were boosting their stakes meaningfully. 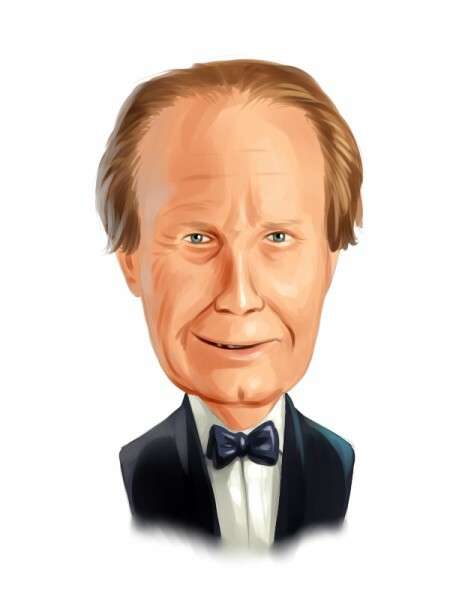 According to our comprehensive database, Chuck Royce’s Royce & Associates had the largest position in National Health Investors Inc (NYSE:NHI), worth close to $10.1 million, accounting for less than 0.1%% of its total 13F portfolio. Coming in second is Renaissance Technologies, managed by Jim Simons, which held a $5.9 million position; the fund has less than 0.1%% of its 13F portfolio invested in the stock. Other peers that are bullish include Cliff Asness’s AQR Capital Management, Brian Ashford-Russell and Tim Woolley’s Polar Capital and Ken Griffin’s Citadel Investment Group. Since National Health Investors Inc (NYSE:NHI) has witnessed a declination in interest from hedge fund managers, it’s safe to say that there is a sect of fund managers that elected to cut their entire stakes last quarter. At the top of the heap, Israel Englander’s Millennium Management said goodbye to the biggest stake of the “upper crust” of funds we monitor, totaling about $0.7 million in stock. These bearish behaviors are interesting, as aggregate hedge fund interest fell by 1 funds last quarter. How have insiders been trading National Health Investors Inc (NYSE:NHI)? Insider purchases made by high-level executives is particularly usable when the primary stock in question has seen transactions within the past half-year. Over the latest six-month time period, National Health Investors Inc (NYSE:NHI) has seen zero unique insiders buying, and 2 insider sales (see the details of insider trades here). Let’s check out hedge fund and insider activity in other stocks similar to National Health Investors Inc (NYSE:NHI). These stocks are Sabra Health Care REIT Inc (NASDAQ:SBRA), LTC Properties Inc (NYSE:LTC), Healthcare Trust Of America Inc (NYSE:HTA), Healthcare Realty Trust Inc (NYSE:HR), and Medical Properties Trust, Inc. (NYSE:MPW). This group of stocks are in the reit – healthcare facilities industry and their market caps resemble NHI’s market cap. Here is What Hedge Funds Think About FXCM Inc (FXCM) Hedge Funds Are Buying Oppenheimer Holdings Inc. (USA) (OPY) Arlington Asset Investment Corp (AI): Are Hedge Funds Right About This Stock... Is Safeguard Scientifics, Inc (SFE) Going to Burn These Hedge Funds? Hedge Funds Are Dumping Greenhill & Co., Inc. (GHL) Gamco Investors Inc. (GBL): Insiders Are Buying, Should You?